British MGA innovation hub OneAdvent and insurtech start-up Skyline Partners have partnered to bring a weather solution combining parametric insurance and blockchain to farmers in India. The partnership was initiated with OneAdvent investing an undisclosed amount in Skyline Partners, which will use the funding to bring its weather insurance solution to India. OneAdvent has over 20 years’ experience launching businesses in the insurance industry and will provide support for the development and distribution of the innovative product. Skyline Partners’ product, which is set to launch in 2019, will provide affordable protection to the agricultural industry. According to a statement, the company’s founders, Gethin Jones and Laurent Sabatié, have spent the last year developing the technology-enabled insurance solution to give underinsured tea farmers an economical and reliable way to secure their sustainability. “We founded Skyline Partners to restore trust in financial protection and make it more accessible through technology and innovation,” Jones and Sabatié said. “Our vision is to provide commercially viable and affordable insurance to the world’s underserved markets. We are delighted to work with OneAdvent and could not have found a better partner to deliver this”. 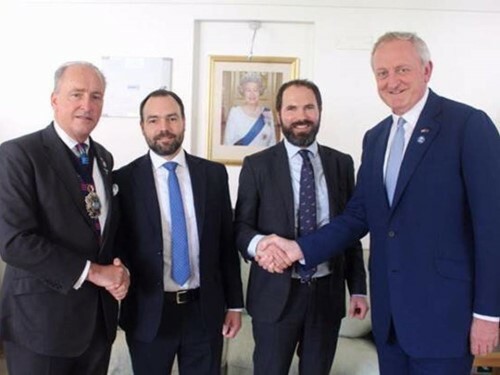 As preparation for the product’s launch, representatives from Skyline Partners were invited to join the Lord Mayor of London Charles Bowman’s recent trade mission to India.